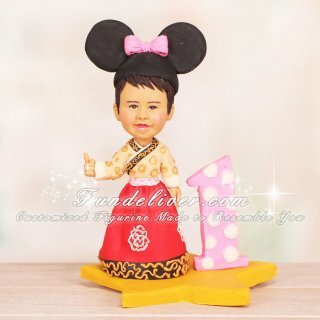 This is a completely customized first birthday cake topper ordered by a Mom for her daughter’s first birthday. The girl is wearing a traditional Korean dress called a hanbok. The bottom part of the dress is dark brown. 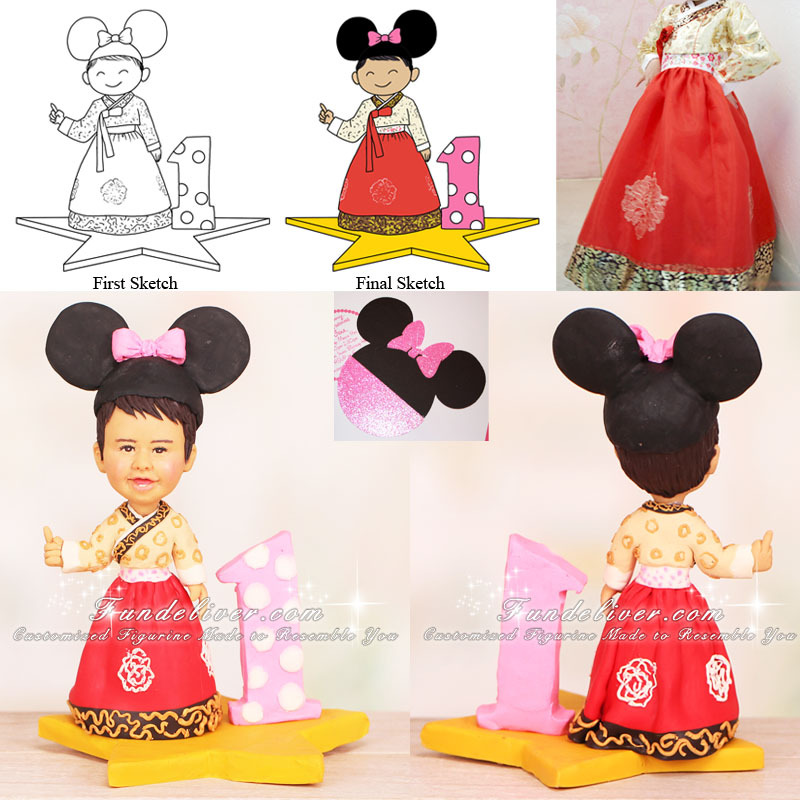 She would like the topper to have her daughter smiling, wearing Minnie Mouse ears and with her right finger doing a "number 1" with the index finger out. She would also like a large blocky number "1" in pink with white polka dots. She would like her face round and chubby and the bottom where she is standing to be a large star shape in yellow.